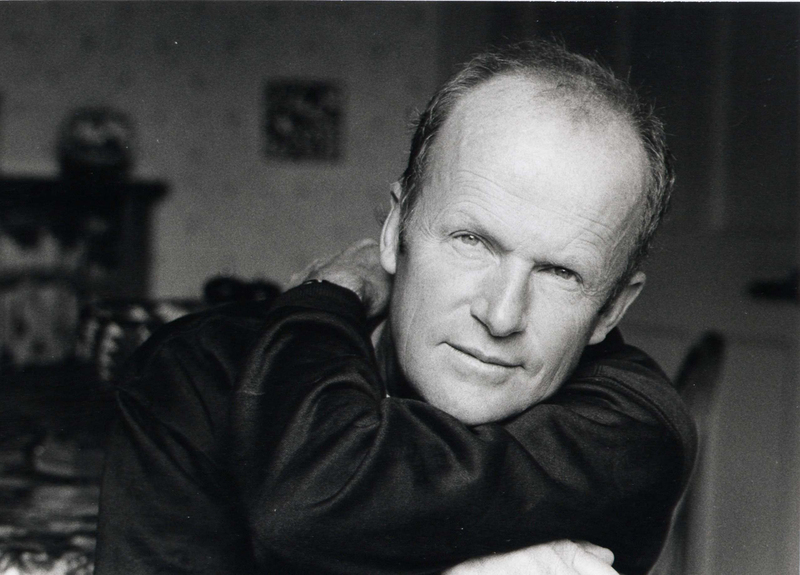 This year, novelist Jim Crace, whose archive resides in the Ransom Center, has received an award of $150,000 for his fiction writing. Presented by Yale University, the Windham Campbell Prize is awarded to writers of fiction, nonfiction, and drama to financially support their literary endeavors. Crace’s writing is celebrated for its powerful style, inspired by the magical realism of Gabriel García Márquez and rich with the natural imagery of imagined worlds. He is the author of 13 award-winning novels, including Continent (1986), Quarantine (1997), and Being Dead (1999). Crace has served as a Distinguished Writer-in-Residence at the James A. Michener Center for Writers at The University of Texas at Austin. His most recent novel, Harvest, was shortlisted for the 2013 Man Booker Prize for Fiction. Writer Jim Crace, author of Continent (1986), Arcadia (1992), Quarantine (1997), Being Dead (1999), and The Pesthouse (2007), speaks about ephermera in archives and the narratives and stories they provide. 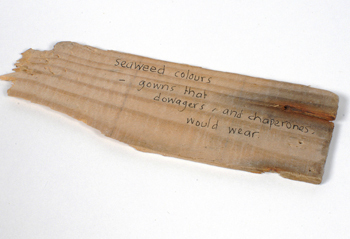 Crace elaborates about a piece of driftwood found in his archive that contains a note that was later incorporated into his novel Signals of Distress (1996). Enter by July 13 for a chance to win a signed copy of Crace’s Continent by visiting the Ransom Center’s Facebook page. Crace will be in residence this fall at the Michener Center for Writers at The University of Texas at Austin. He will give a public reading on December 6. Piece of driftwood in Jim Crace’s archive. Photo by Anthony Maddaloni.